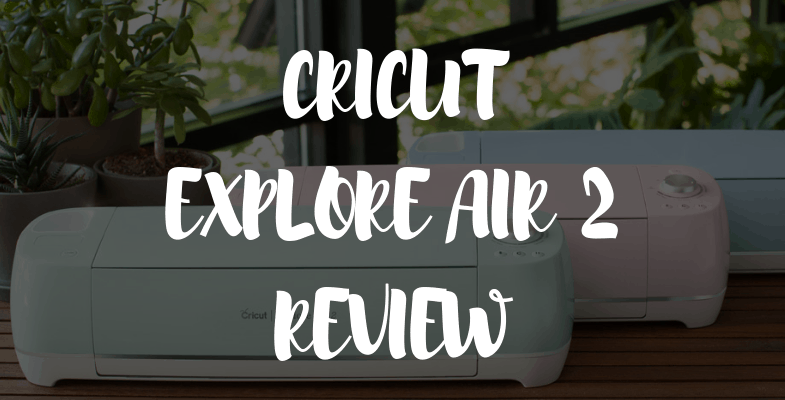 Cricut Explore Air 2 Review - Is This Cutting Machine Worth It? If you’re looking for a fast and fairly easy-to-use cutter, chances are that the Cricut Explore Air 2 features prominently on your wishlist. However, before you even commit a single penny to the purchase of this machine, it makes perfect sense to learn a thing or two about it. That’s precisely what the next few lines are all about – reviewing every tiny detail of this cardstock, iron-on, vinyl, and leather cutter. At a glance, the Explore Air 2 may not seem like anything worth paying close attention to. It’s minimalistic and quite laid back. A closer look at it, however, reveals a different story altogether. This miniature cutter leads the way in the home craft cutting market. For instance, the machine is designed to cut at a speed that’s almost 2X what its predecessors delivered. As such, the Explore Air 2 provides you with 2 modes – the normal use mode and the fast mode. You simply need to switch to the fast mode when you really need to make every second count. For instance, you can use it when you’re under pressure due to client deadlines and so forth. Another awesome feature of the Explore Air 2 is that it comes with a huge library of images. This comprises over 3,000 easy-to-use projects which you can use at any time. So, if you’re short of time and simply want to get some awesome ready-made designs, you won’t need to pay for them since they’re available for free with the purchase of this device. Another awesome addition that you’ll find on this device is its compatibility with smart devices. Indeed, the unit is compatible with tablets, smartphones and, PCs. As a designer, that means more freedom to come up with designs and print them on-the-go. So, you can for instance design something on your phone on your way home and click print once you get home. That’s the level of flexibility you need to save every minute available to you. Likewise, instead of sitting in the subway wondering when the trip will come to an end, you can simply turn on your tablet and continue from where you left. Likewise, you don’t have to waste time at Starbucks waiting for your buddy to show up! Simply turn on your computer and get busy putting some finishing touches on your design so you can print it once you get home. This unit comes with great pens that can be attached and used to create customized handwritten cards. That’s in addition to the freedom to choose from more than 370 fonts that are provided. Once you’ve loaded your favorite font, all you’ll need to do is sit back and watch the cutter write its way through your material of choice. Once you get this machine, you’ll be able to access more than 500,000 printable images. Yup, you read that right! And that’s alongside close to 1,000 printable patterns. And the best part is that you can always upload your very own patterns and images for printing. So, in other words, what you get with the Explore Air 2 is unmatched printing power and design flexibility. It doesn’t matter your level of experience in design, there’s always something you can do with the Air 2. Whether you’re thinking about the extremely thin materials such as vellum or the thick and resilient ones like leather, this machine has all the technology needed to make great cuts. In fact, it comes with a handy, built-in Smart Set dial which you only need to adjust to achieve different settings. The dial includes a list of materials that you can cut and so you’d simply need to select the right mode at your convenience. To top it all up, the machine comes with access to Design Space which enables you to achieve even better material selection settings. This is the handy tool you need to perfect your skills. For instance, you can use it to create acetate pinwheels, boxes, 3D paper crafts, envelopes, and so forth. We genuinely think that this machine does a stellar job at creating perfect fold lines. You can use this cutter to create intricate details with great accuracy. In fact, you can handle stuff like lace stationery designs, snowflake designs, and even spider webs. So, as far as pristine detailing goes, the Explore Air 2 should always be your first port of call. Cricut machines have an issue with cutting width. In fact, that’s why we’d only recommend the Explore Air 2 for light duty commercial use or home use. The machine itself measures 12 inches wide and 14 inches long. In reality, you end up with 11.5-inch by 23.5-inch. Clearly, that’s not the largest cutting width available. Fortunately, it can get quite a few crafting jobs done. Indeed, this is so far the best size we’ve come across among the desktop machines. That said, it’s important to note that the machine’s cutting width may further reduce depending on the function you opt for. For instance, if you use the “Print Then Cut” function for your uploaded designs, the printing capacity varies from one browser to the next. For instance, you’d get 5.5-inch by 8-inch on Google Chrome and 6-inch by 8.5-inch on Safari, Internet Explorer and Firefox. 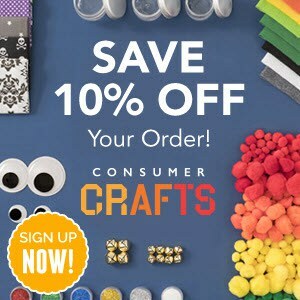 That’s as opposed to when you purchase some designs from the Cricut Image Library. So, always keep in mind that full-width printing isn’t available for uploaded images so you’re not surprised when you try using that feature. The unfortunate truth is that unlike other cutters on the market, Cricut machines can only be used with the Design Space software. Yet another challenge with Design Space is that it’s web-based. You’d need to log-in through your browser to access it. So, if you don’t have the internet, this would be such a huge issue. But as far as functionality is concerned, this software is quite useful. It may not be as powerful as CorelDraw or Adobe Illustrator but it certainly is awesome for beginners. As we’ve already mentioned, this software comes with quite a few ready-made projects. Plus you can even use it on your iPhone. This is great news for hobbyists and beginner users. It, however, may not sound like much for advanced designers who may desire to have more design flexibility. Fortunately, Cricut keeps updating its software and we can always look forward to better design features being brought on board. For example, they’ve already made it possible to use the Design Space software offline for those with the iOS app. The good news is that the Cricut Explore Air 2 is designed to use the old cartridge system of Cricut. So, if you’ve been using these machines for quite some time, you’ll be glad to learn that you won’t need to buy more cartridge packs anymore. You can now go ahead an upgrade your software with no qualms. The Cricut Explore Air 2 provides you with Bluetooth connectivity along with a creative storage space for all of your tools. So, whichever way you look at it, this is a machine that’s built to stun. A double tool holder is one that attaches two clamps. One of these can be used for cutting and the other for writing. The main benefit of this feature is that it’s such a time saver. You can cut and write stuff at the same time. 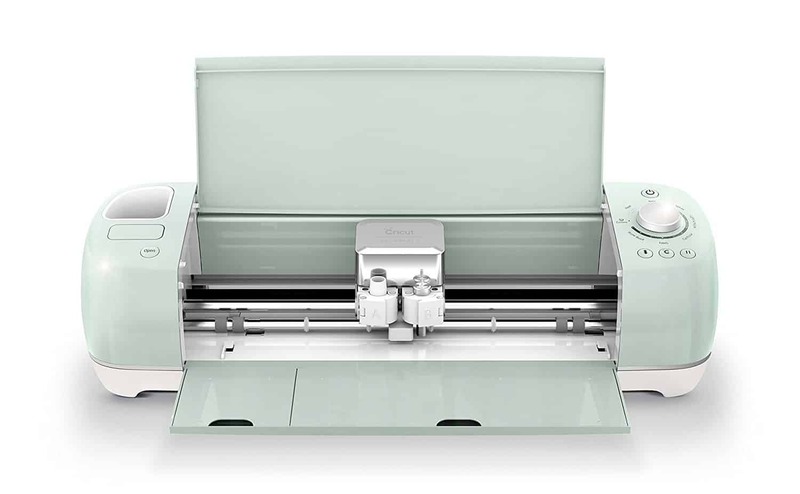 However, unlike the Cricut Maker, the Explore Air 2 lacks a rotary blade which would come in handy when cutting and writing of fabrics is involved. This is a powerful and handy blade which is specifically designed for cutting light and mid-weight materials. It can be used for handling poster boards, vinyl as well as cardstock. What we really like about it is that it traditionally lasts 3 times longer than a standard blade. That’s because it’s taken through a special hardening process to enhance its durability. This special mat has been reformulated for enhanced performance. What’s more? The mat has been customized to match some of the recommended materials among them vinyl, iron-on, embossed cardstocks, pattern paper and so forth. Generally, the mat has a good grip which holds your material firmly in place (also making it extremely easy to remove the cut material). Most importantly, it comes with an easy-to-use ruler and grid markings allowing for multi-purpose and flexible use. The Looks – This machine is available in four different colors. These are mint green, soft pink, cream/gold, and baby blue. You can always pick a color that perfectly matches your interior decor. The baby blue variety is our favorite color – what’s yours? Speed – Although most of the Air 2’s parts and design resemble what’s found on Explore Air, this one has more cutting speed. Besides that, we like the Air 2’s wireless network power. It picks the wireless signal quite fast meaning you can remotely send tons of work to it and it’ll conveniently get them done for you. Test Project – If you need an orientation session to make the most out of this machine, you’ll be glad to learn that it comes with a test project included. At the same time, we like the fact that the cutter comes with well laid out instructions (available online) for those willing to learn. We’d recommend taking advantage of this test project to understand just how powerful the Air 2 can get. Affordability – Considering the fact that this machine goes for an under 300 price tag, we think it’s genuinely a steal! Its technology is pretty advanced and can compete with other, more expensive, varieties. In fact, it’s younger sibling, the Maker costs close to $150 more. Great Mat – In fact, the Explore Air 2, unlike other machines, doesn’t have sliding mat issues. That’s because its unique design conveniently holds the mat in place. Reasonably Good Cutting Power – This model packs 210gf cutting power. Although that’s not close to the 4Kg that the Cricut Maker provides, it’s still reasonably good. In fact, you can use it to deal with a cutting depth of up to 1.5mm using the standard blade. Want a deeper cut? You can load a deep-cut blade for a 2mm depth. That may not seem like a lot of power but it’s certainly enough to cut over 100 different materials (as mentioned earlier). Bluetooth – This feature comes in handy since it complements the Smartphone compatibility of this device. So, as long as your device has a Bluetooth feature, you wouldn’t need wires to print images and patterns from it! No Android App for Design Space – It doesn’t make sense to have an app for iOS and lack one for Android. With Android smartphones continuing to dominate the markets, the challenge is on Cricut to meet that demand by launching a well-made app soon. One of the features we’d look forward to in such an (Android) app is the ability to create designs offline. Design Space is Quite Basic – We honestly think the company needs to allow crafters to use third-party design software. Alternatively, they can focus on improving Design Space so it’s powerful enough for advanced graphic design. Otherwise, some designers have so far faulted it for being too basic. Louder Than Explore Air – It’s not too loud, though. It’s only that we happened to notice that it’s slightly louder than the Explore Air. This shouldn’t really be an issue unless you ultra-sensitive to noise. Otherwise, if you’re looking for a speedy machine that leaves no stone unturned, the slightly loud noise shouldn’t be an issue. Considering the list of features included above, the Explore Air 2 looks like a perfectly fine machine. Its speed is pretty good as well. On top of that, it provides you with a wide variety of uses and incredible precision. The idea of including the German Carbide blade as part of its arsenal makes it a durable choice. That’s in addition to the fact that it has some well-thought-out storage compartments. So, much as it’s not perfect, the Explore Air 2 is still a great deal for beginners and hobbyists.